Bortz Product Design offers a complete industrial design service - from concept to implementation. 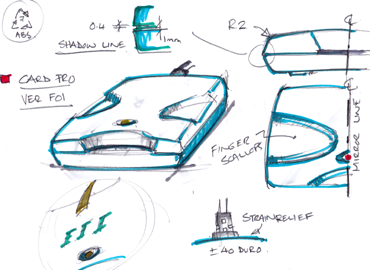 We can manage the entire product design process for you or provide assistance in one or more areas. Our service is more than styling. With years of experience using different materials and manufacturing processes we provide industrial designs that add value, win market share and improve quality while reducing production costs, giving your product the edge to generate greater profits. We like to work with our clients, not only for our clients and make the process a successful and enjoyable experience for all. When a design is done with a spirit of fun the result is always better. Our service can also add value to your IP portfolio by developing design registered or patentable solutions. ​The high level of integrity and ethics along with extensive product development knowledge and experience we provide creates a service our clients can be confident in. This level or value added service results in a positive experience for both our clients and us leading to great outcomes.